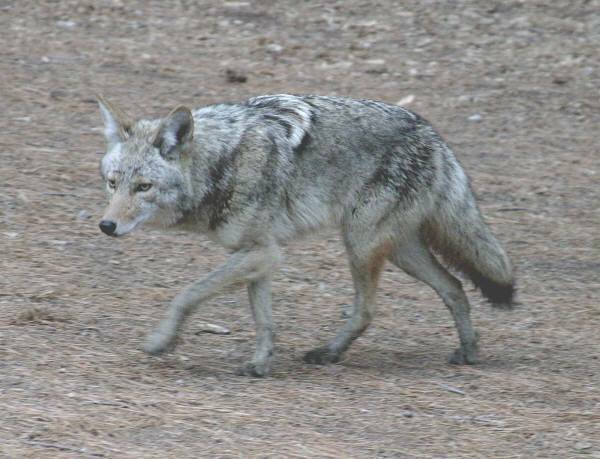 Previous blog posts have focused on the use of wolves as hunting and working dogs, but there are also a few instances of coyote doing the same work as dogs, like the story of the pointing coyote from Oklahoma. James Willard Schultz (“Apikuni”) kept a coyote that was an excellent gun dog. Schultz was a fur trader in the Montana Territory, who became intimately familiar with the Blackfeet. He also kept unusual pets during his life in the West. I have previously written about the retrieving wolf that he kept in Montana. This wolf would retrieve any shot grouse or duck for which he was sent. Schultz would go onto describe how Smokey would sometimes run off to chase other coyotes, but he always returned. He had fully bonded to the Schultz family and saw them as much better company than his own kind. Schultz also tried to breed Zora to Smokey, but he had no interest in her. Schultz thought this was because coyotes breed only seasonally, but there have been coydogs produced out of coyote mating season. 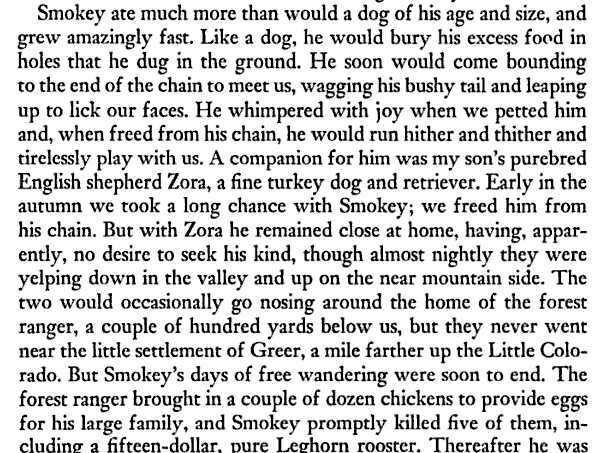 More likely, Smokey had never fully imprinted upon the dog to consider her the same species, or more likely, he considered Zora to be something like his own mother or older sister. Coyotes have a very strong inbreeding avoidance behavior, and he likely would not have wanted to mate with her. Coyotes are at least serially monogamous, and unlike dogs, they are very particular about their mates. 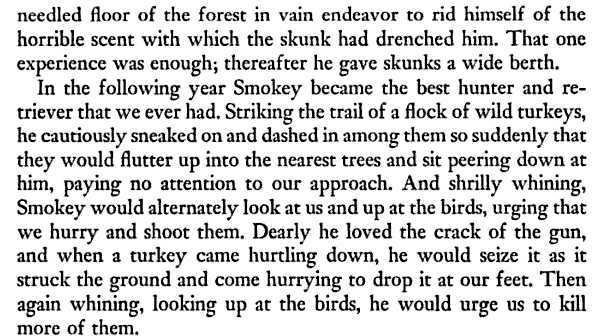 Smokey would prove to be a great flusher and retriever of wild turkeys– the main game they were hunting in the White Mountains in those days. He learned this behavior through observing Zora, and as we’ve seen time and again, coyotes are great observational learners. It is one of the secrets to their success as a species, which now ranges from Alaska to Labrador south to Panama. They now live over most of the North American continent. They don’t (yet) live in southern Panama, and they are absent from the tundra of northern Canada. Coyotes have generally proven more difficult to keep than wolves. Coyotes are much more aggressive within their social groups than wolves are, which is one reason why coyotes have tended to avoid forming large packs. The ones in the East, which do have some wolf in them, are better at forming packs, but whether this trait comes from the wolf genes or simply from the coyotes learning how to work more cooperatively. This particular coyote became unusually tame, and because it bonded with people and a dog–which are much less aggressive than other coyotes–it was able to learn how to be a dog. Dogs and people were better company, even if they hunted birds with guns, instead of mice and rabbits. There is a blog called The Daily Coyote written by a lady who has kept a tame coyote for the last couple years. She also has a dog and a cat that the coyote gets along with, possibly because the cat was there first and the coyote grew up with him. Interesting to see a coyote tamed in recent times.